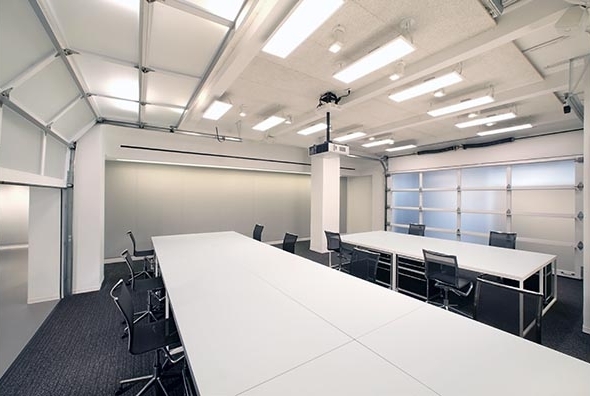 New York School of Interior Design (NYSID) recently completed its new Graduate Center at 401 Park Avenue at 28th Street, NYC. There will be a ribbon cutting ceremony to celebrate the opening of the Center on Tuesday, October 18 with NYSID alumni, graduate students, and supporters, as well as local government representatives in attendance. The creation of the new Graduate Center marks an important moment in NYSID’s nearly 100-year history. It’s the first time the School has opened a satellite space and its first entrée to Lower Manhattan. 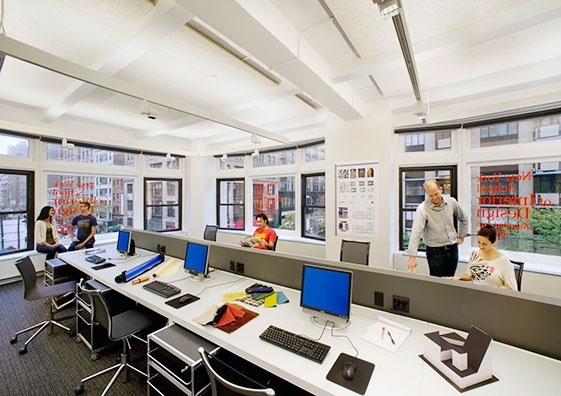 The Center was created in direct response to the launch of a number of new graduate programs and the corresponding increase in NYSID’s graduate student body, which has grown from less than 20 students in 2008 to 143 at the start of the 2011-12 academic year. In just three short years, NYSID has launched a three-year Professional-Level MFA in Interior Design, a one-year MPS in Sustainable Interior Environments, and a one-year MPS in Interior Lighting Design. Additionally, the School has recently been approved to offer a one-year master’s degree program in Healthcare Interior Design, which will launch in fall 2012. The Center occupies 40,000 square feet on two contiguous floors and was designed by architecture and design firm Gensler. 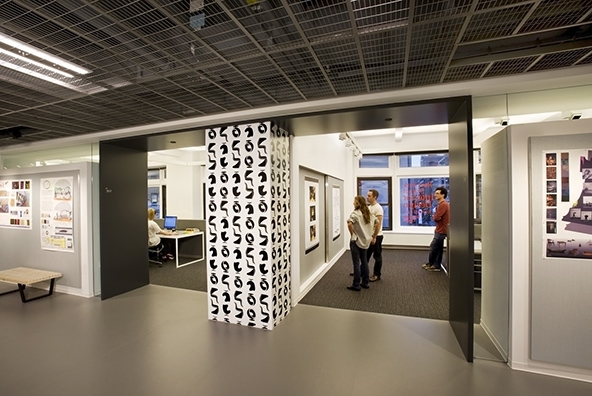 Phase I of the Graduate Center—a 20,000-square-foot space on the third floor—opened in September 2010. The design of the two floors are similar—both sleek, light-filled spaces that have open layouts with seminar rooms, lecture halls, exhibition space, computer design labs and other workspaces all flowing into each other. The design was intended to create an environment that removes barriers to creativity and encourages a level of interaction between students and faculty.